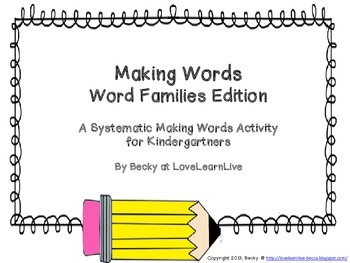 Use these making words lessons in large or small group instruction, as an introduction to word families or as an intervention activity. 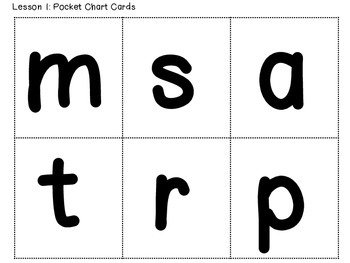 This pack includes eleven hands-on making words activities complete with letters for the students to manipulate as well as large letters for display in a pocket chart. 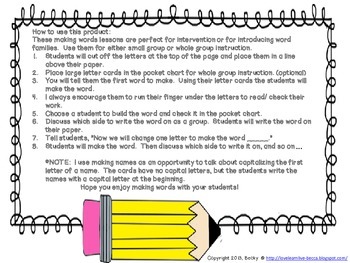 Also included is a key of the words to make for each lesson. 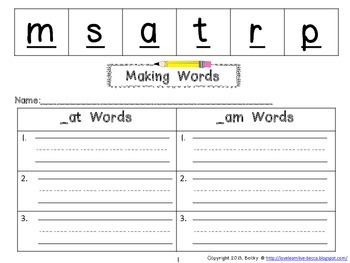 Your students will make and sort words by two word families. There are at least two lessons for each of the short vowel sounds. This is a great introduction to more difficult making words lessons.